When choosing an archery target, it is important to think about the type of archery you are going to be shooting. 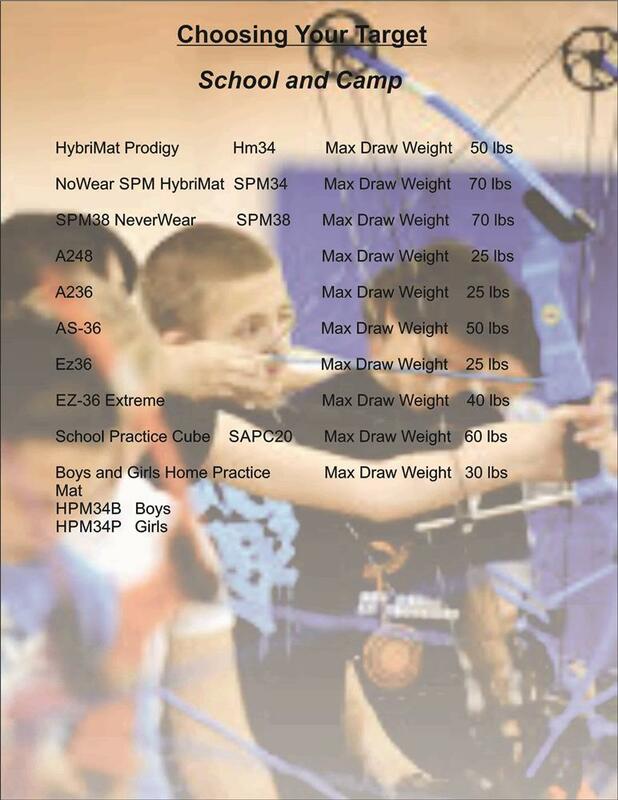 With the wide array of archery equipment available today, a specialized archery target is as important as the bow you are shooting or the arrows your choose. If you are going to be shooting a lot of competition archery using tiny arrows such as X10s, you will need a hybrid target that combines foam with compression technology to stop the arrow and still allow you to remove it. For broadheads you need to think of the cutting action of the broadhead blades, and how they will slice the foam. An open layer target is a very poor choice for broadheads, because of the way that the blades cut the sheets very quickly leading to short target life. A better choice is a solid or a bonded laminated foam target. If you are shooting field points, then an open layer target will work well, as well as compression bag targets, although we have developed a pat. pending target that is hybrid of foam and compression targets. This hybrid target is very superior to any straight foam or compression target for target points of any type. With the advent of many states legalizing crossbows in archery seasons, combined with crossbow technology that seems to be ever increasing, a good crossbow target is very difficult to find. With crossbow bolts that are surpassing 400 FPS. if a target stops the bolt, it takes two men and a mule to pull it out. That being said, our hybrid targets work well with crossbows as well, depending on the speed of the crossbow, determines which target will work well for you. Of all our targets, the Cube Hybrid will work well with anything. After many years of shooting archery I have determined one thing..... If you have a good target that does what you want.... it makes shooting a lot more fun. We want to help you with that!! !